Hello Beautiful! 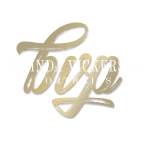 My name is Belinda Vickerson and I am a fashion and portrait photographer serving Atlanta, Columbus, Macon & Albany. A portrait photographer based out of Albany, who loves to click, write & travel. I create magazine quality images for the everyday woman. Beautiful, sophisticated, glamorous portraits that you will treasure for all time. My mission is to help women discover and embrace their own unique beauty. Each of my sessions are custom created based on your personality and style. After this beautiful experience you will leave feeling like a supermodel! I would love to create something special just for you. Check out my pricing info below and contact me to book your session! Thank you Belinda. My Maternity session was perfect! I felt like a supermodel at my session! You captured my personality perfectly! The images are gorgeous! You are awesome! I offer a complete photography service that is a once in a lifetime experience. Your session retainer covers a makeup artist for one look as well as professional styling and direction. Each session is custom designed based on your style and personality. For a full pricing guide or for rates outside of the Atlanta, Albany, Columbus or Macon metro areas please email me info@belindavickerson.com. Lets make your dream shoot come true!